Sophisticatedly decorated rooms accompanied with a banquet hall to make for an enjoyable stay. Situated at Jalan Bestari 8/2, Taman Nusa Bestari, Johor Bahru, Domus hotel is a beautiful place with contemporary interior decor and an inviting ambience. 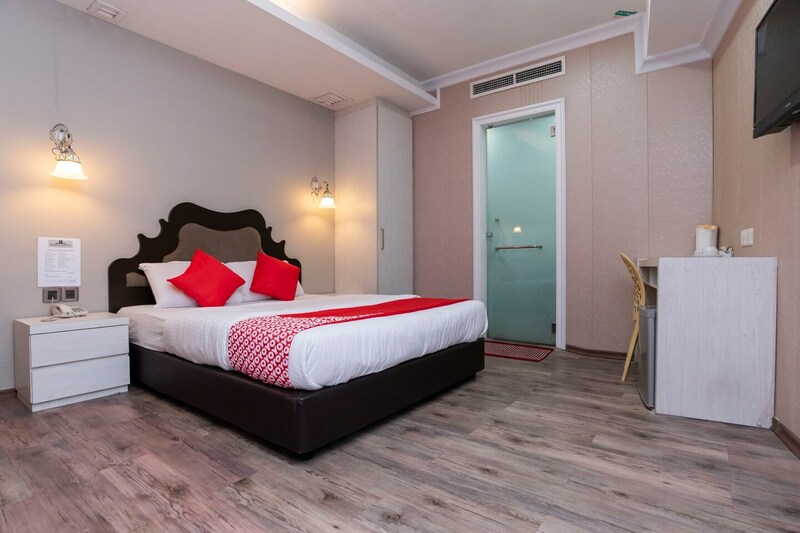 The bedrooms at the hotel have textured ply paneled walls and light wood furnishings with one of the walls simply painted a light color, lending the rooms a comfortable and warm ambience. The rooms also have big windows that let ample sunlight stream in, thereby brightening up the place. A banquet hall, a kitchen and a dining area are present at the hotel for the guests to avail during their stay. The free Wi-Fi offered by the hotel ensures that the guests remain in contact with the rest of the social world. Other amenities offered by the hotel are a mini fridge, a refrigerator, laundry service, CCTV cameras, and a card payment option. Tourist attractions such One Clown Entertainment, Swiss Circus, Puteri Harbour Theme Park, Kangkar Pulai Lagoon are located near the hotel.